When I first applied to work at the PyeongChang 2018 Winter Olympics, I had no idea which position I would get, nor what it would entail. There were multiple positions up for grabs that would allow students to work in a variety of different teams and departments. After several weeks waiting, I finally received a job opportunity proposal from OBS, asking me if I’d be interested in a position as a social media assistant; I immediately accepted and that is where my Olympic journey began. I arrived in PyeongChang on February 4th to begin work the following day. Up until that point I had no idea what the specifics of my job would be. I had received an email from one of my multiple supervisors a week prior, giving me and the other BTP students a starting time and meeting place at the International Broadcasting Center on our first day. The tone of the email seemed friendly, however, I was very nervous when i walked into the broadcast center on my first day. I was completely unsure what to expect therefore I was worried I may not be up to the challenges they throw at me. Upon arriving at what would be my work space for the rest of my stay however, and meeting the people I would be working with, all that fear and anxiety went away. 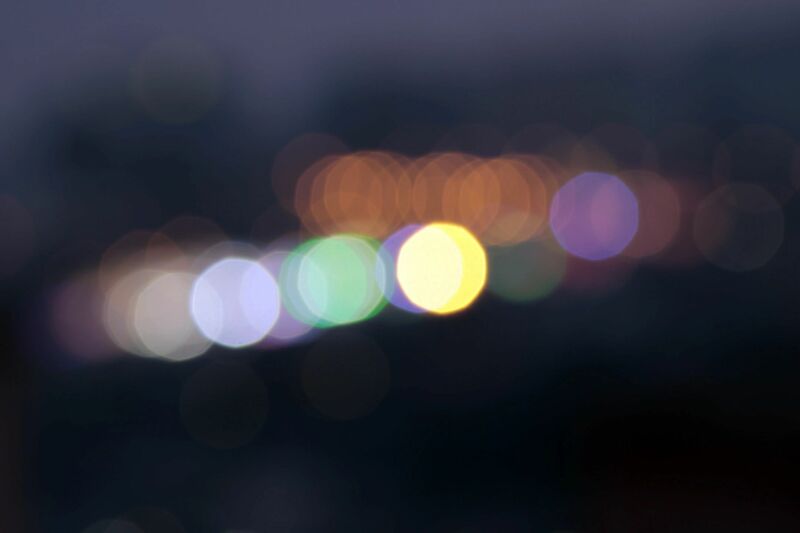 Everyone I met that day was so incredibly friendly and helpful that I no longer worried about whether I would disappoint them or not because, frankly, they were fairly new at their positions as well. It turned out that the department I would be working for was the Olympic Channel Service: a new department that would be working their first Olympics as well. Despite having a relatively short and uneventful first day where we just introduced ourselves I was already enjoying my time there and was informed rather quickly that after that day we would constantly be busy. My first couple days at work involved researching Akwasi Frimpong – the first ever skeleton racer from Ghana. After researching on him and writing a list of interview questions, I then went with the rest of the team to host a Facebook Live with the man himself. When we finished our session with Frimpong, I continued to do some research on other athletes as well as locations in PyeongChang throughout the entirety of my internship and went on multiple shoots. I also had the privilege of attending the rehearsal of the Opening Ceremony as well as the actual Opening Ceremony itself. Furthermore, due to the nature of my job, my ID came with all venue access with prime event access as well; this not only allowed me to attend the women’s snowboard slopestyle finals during work hours, but also enjoy a lot of other events as a spectator during my off hours as well, such as men’s ice hockey and speed skating. 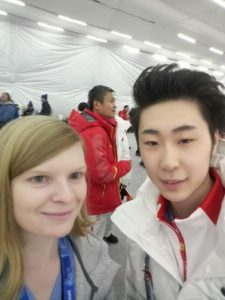 Taking picture with Japaneses figure skating athlete, Yuzuru Hanyu. 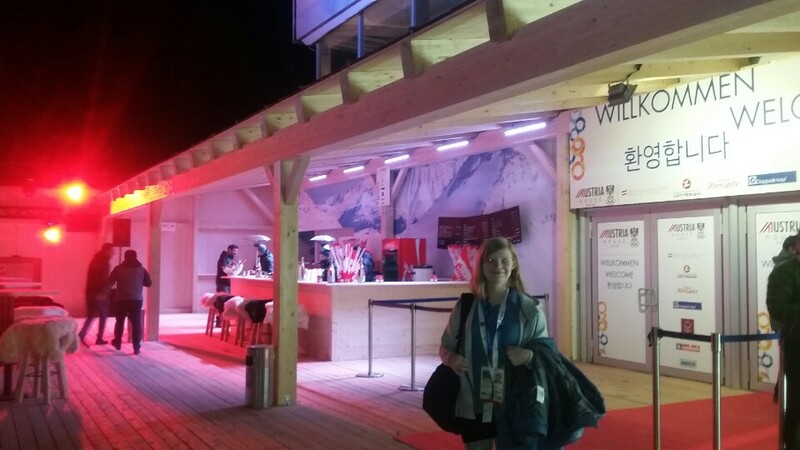 To cap off my exciting work experience, I got to spend my final day of work in the athlete’s lounge at the Closing Ceremony. The athlete’s lounge is where all of the athlete’s go to hang out before they line up to march during the ceremony. 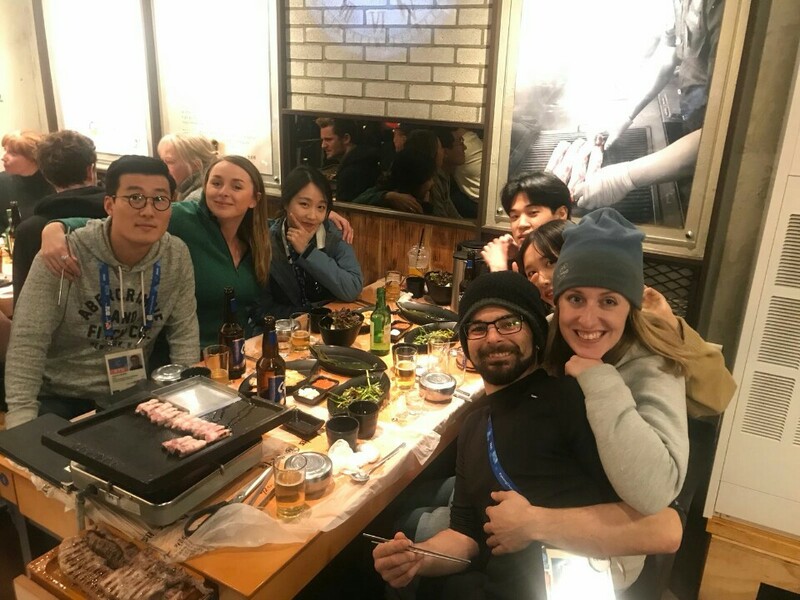 I was sent there by my team to take photos of athletes from different countries hanging out together and demonstrating the spirit of the Olympics: passion and unity. The experience I had during the closing ceremony was one of the greatest experiences of my life; I got to meet so many different athletes and experience something that very few ever get to. After the Closing Ceremony came to an end there was a massive wrap party at the International Broadcasting Center with free food and drinks for everybody. We all enjoyed one last night together and the entire staff of the OCS proposed a cheer for making it through our first Olympics together and hoping for many more. The experience I had in Pyeongchang was a once in a life time opportunity that I will always be grateful for and would love to do again.